The journey of deciphering a character’s interior life, her motives, and the residue of her past keeps us turning a novel’s pages. But how might a book’s cover imply a mysterious main character without being too vague? Enter Eric Wilder, a creator and designer who always takes a multifaceted approach to his projects (including SPINE magazine; he’s at the helm of it). For Michal Ben-Naftali’s historical novel The Teacher, Wilder designed a series of covers that reach into the protagonist’s world and haunt the viewer with the promise of a wartime story with frayed edges. The Teacher explores the tainted fate of protagonist Elsa Weiss, a shy Hungarian Jew who escapes the Holocaust as a member of the infamous Kastner Train—a monetary arrangement between Rudolf Kastner and Adolf Eichmann to save 1,600 Jews. In the end, the publisher Open Letter Books selected a cover that reinforces the divine, often tragic play between dark and light. We would be well served to take a look at three designs Wilder offered Open Letter. They serve as a study in the dynamism of Wilder’s approach to the brief: in them we see hand-lettering and typefaces, textured paints, warm and cool tones, subtlety and the obvious. 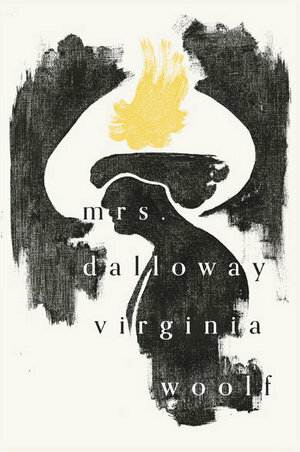 The technique for what would ultimately be chosen for the cover design of The Teacher started prior to Wilder's receiving the brief, with a personal exploratory involving a series of three covers of Virginia Woolf books. “I created these covers with imagery painted in one color acrylic on canvas. I then scanned them into the computer and made alterations in Photoshop.” Wilder said. “The first option features a painted silhouette of the protagonist,” Wilder said. “The hand-painted feel and textures relate to the intimate look at the character’s life, while the incomplete image alludes to the mystery of her past.” Something about the cream-colored serif makes the book seem warm and inviting even in the midst of its mystery. “The second option has a hand-painted feel and texture like the previous, but in this instance the object of the painting is a train, an item which plays heavily in the plot,” Wilder said. “The train here is obscured again to allude to the mystery of Elsa’s past, with only the tracks and the engine light in view.” The clean font contrasts with the more chaotic, organic brushstrokes in the background, while the glint of yellow light shouts back at the night enveloping it. The third option incorporates symbol but avoids cliche. “This design features two poppies, a flower associated with war remembrance,” Wilder said. “While the poppy on the left is in full bloom, allowing the reader to clearly distinguish the flower, the main focus is that of the yet to be revealed blossom (mystery). Hand-lettered type, provided by Jessi Shakarian, is set around the bloom to give it greater focus.” Upon further inspection, the texture of the poppies adds richness to the cover, inviting readers to pick it up, flip through the pages, and experience the story inside. 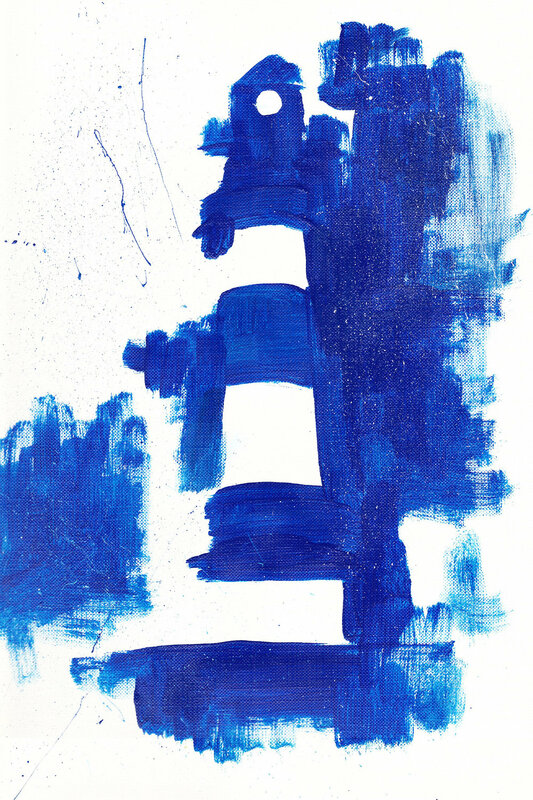 When we examine the cover of The Teacher, we see kinetic blue brushstrokes create a backdrop for a pop of color and an understated typeface. We see the layer's of Wilder's creative practice, and we get a taste of the rich, complicated, beautiful, tragic story inside.